When we think of emergency preparedness and the supplies and survival gear that are needed in a survival kit, the survivalist is going to want to have everything and beyond. So, we looked at some unique electronic gift ideas that would prove to be highly valued in any emergency situation. 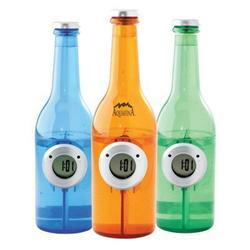 Gifts.com shows a whole section of electronic gadgets, as well as eco-friendly electronics just for the survivalist. It was the eco-friendly gifts that we feel will make these type of gifts even more appreciated by that survivalist person. This is a AA cell battery that can be used like a normal battery and can be recharged simply by plugging into a USB port. You can’t use those USB batteries without a way to charge them and, if there isn’t any electricity, this solar charger will be needed. 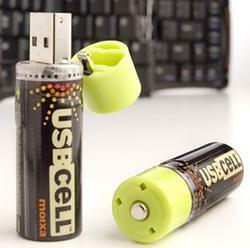 It charges virtually any electronic device and, when fully charged, it will completely power up most smartphones twice. Talk about clever inventions, this clock in bottle does not require batteries and it harnesses power from the water inside the bottle. 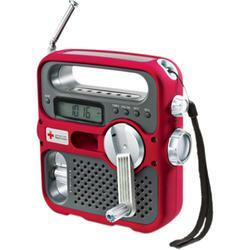 This portable radio picks up AM, FM, shortwave and weatherband radio stations. 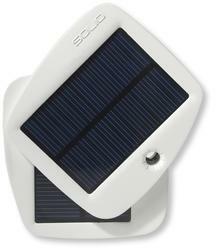 It can be powered four different ways: hand crank, AAA batteries, solar power, and an AC adapter. Also features an alarm, flashlight and cell phone charger. When you have to be away from home or traveling in the car, this can be a very valuable gift. Shaped as a coffee cup that can rest in a cup holder in the car, it’s a power inverter that can power three devices at once. It has two AC outlets for laptops, DVD players, phone chargers, camera chargers, etc. 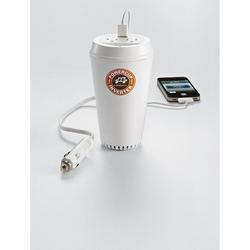 and one USB power port for iPods and MP3 players. Technology has come a long way and, when it comes to emergency preparedness, you can’t go wrong with these unique and valuable gifts. Share some of your gift ideas for the survivalist!